With its circular drive around the Millennium Monument at the eastern end of St. Croix, Point Udall is usually a very quiet place. It is miles beyond the last residence on that end of the island and even a mile beyond Cramer Park. One can go there and enjoy a sunrise or sunset and be completely alone. That changes on the first sunrise of the year. 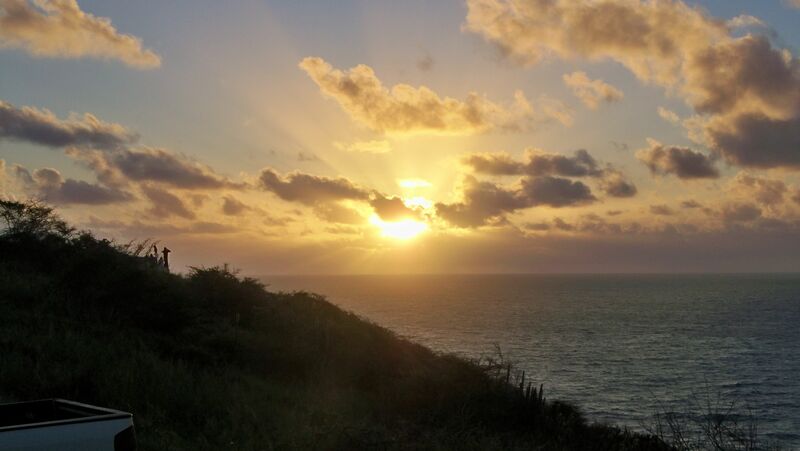 Since Point Udall is considered to be the easternmost part of the United States, hundreds of residents make an appointment to celebrate the first sunrise of the new year there. Although the celebration receives no real publicity or advertising; it is usually attended by hundreds of people. 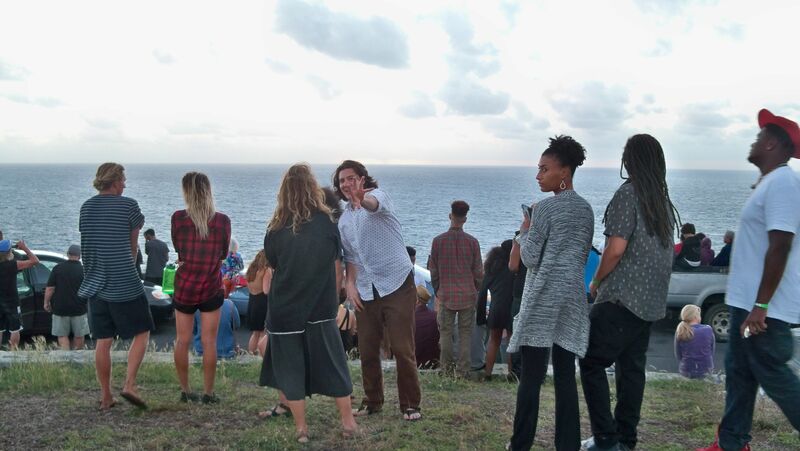 This writer is a longtime resident of the island, but had never attended the New Year sunrise. It was amazing to see how many people were there Friday morning to mark the arrival of the New Year. Not only were all the parking spaces taken in the circle drive around the monument, but people were parked up on the monument area and double parked on the roadway all the way back to the parking lot for the Jack and Isaac’s trail head and that parking lot was filled also. The road that snakes around was lined with cars. People were playing guitars. Sen. Terrence “Positive” Nelson was beating a drum. Former Sen. Ronald Russel was also there. This year even saw a food truck on the circle. When the sun came up over the horizon a cheer went out and someone blew a conch. The group was a mixed one, with some people arriving after partying all night and some just early risers. Christine Hendley Goodrich said she had missed the last couple years, but used to come to the celebration in the years back when only a dirt road lead to the point. After the sunrise some people were ready to leave quickly, but the road was thoroughly blocked by people double parked. It was all worked out without too much delay or ill feelings. There was no police presence or even an official organizer. Alcohol flowed freely in some spots, but there were no incidents observed. The Millennium Monument, a type of huge sun dial, was built above Point Udall for the New Year’s celebration in 2000 — it marks the azimuth of the first U.S. sunrise of that year.